Wouldn’t it be nice if we could all have natural self confidence? Wouldn’t it be wonderful if we all felt that we could do all of the things that we want to do in our lives without self doubt? Wouldn’t it be perfect if we could easily strive and reach our goals? For some people, all of that does come naturally and those people have a natural confidence that leads them to accomplish whatever that they set out to achieve. But then, for others, even everyday tasks can feel tough. Moving from self doubt to self confidence can feel like Mount Everest. Moving from self doubt to self confidence is a practice you can adopt. But first, before you take action, you need to really pinpoint the issue. When you are able to identify where your insecurities lie and what’s stopping you from feeling confident, you can then start the process of moving from self doubt to self confidence. You will be able to work on the blocks that are holding you back and finally live the way that you want! One of the first things that you may need to address, is your mindset. This can be hard to do when you feel as if you’re held back and suffering with low self-esteem and a lack of confidence. But, it can be the one big step that changes your life. If you know that you likely have a pattern of negative thinking, with self-talk where you are actually telling yourself that you can’t or that you are not good enough. When you can have a positive mindset, a belief in your own potential and worth, it’s a spring board to getting you closer to your goals which then reinforces all that positive believing in yourself, growing your confidence. Positive psychology is based on the belief that all people yearn to lead meaningful lives and by actively cultivating positive thoughts and beliefs, we create more positive experiences in all aspects of our lives. 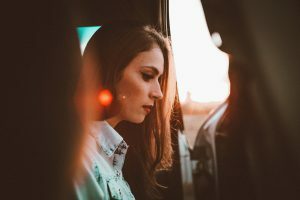 You might want to work with a psychotherapist or a mindset coach who can help you shift your thought patterns from self doubting and self deprecating to focusing on your strengths at every turn. Kelly Ruta was formerly a psychotherapist who shifted toward mindset coaching and she has a number of services and programs available to help you heal your mindset. You can read about Kelly’s work here. It can be hard for you if you were bullied in the past. It may be a big reason that you don’t have the confidence to move forward. Having been the victim of bullying in the past can leave you with a damaged self esteem. If you were taunted, teased or mistreated by someone in your past, it can take time to heal before you can develop an authentic sense of self confidence If you think this could be the root cause, it may be time to speak to a therapist and be willing to attend sessions on a regular basis until you can begin to notice improvement in the way you feel about yourself. Psychotherapy can help you to examine the past events from a mindful presence perspective, allowing old, painful, lingering emotions to be felt and released and new, more positive beliefs about yourself, your safety and your life to take root. While it’s not healthy for you to blame your parents, sometimes the way that they raised you has had powerful influence on the way you view yourself now. This is another case where psychotherapy is a better option than coaching services because there is a need to examine events and the relationship dynamics you had with your parents when you were growing up and there is emotional healing that requires time and space that counseling services with a licensed mental health professional can better provide. One of the biggest culprits here, is social pressures. If you find yourself frequently looking at social media, comparing yourself to other and it’s lending to your insecurity, then it’s time to make a change. But know that you are not alone, because comparisonitis of social media is adversely affecting so many people today. Try to remember that what you see online is typically only the parts they want you to see, and they may not be happy with their own lives. Be selective about how much time you spend on social media and when you’re there, be purposeful. Don’t scroll mindlessly. Use it to share your own accomplishments, to connect with real friends, to network for your career, to find and read enriching articles or videos that will bring a laugh. Every once in a while take a break from social media altogether. Do a social media fast and take time to get out and make face to face connections with people you care about, feel the grass under your bare feet, go to a social gathering at your local community center or place of worship. Check out Meetup.com for local gathering opportunities with others who share similar interests with you. Self care is something a lot of people are completely missing. It could be that no one ever taught you or you haven’t had solid role models but there are practices you can observe and specific actions you can take to actively love yourself. Go read more here for 48 ways to love and care for yourself now. If you are grappling with an illness or other painful chronic condition, it can be very difficult to feel positively about yourself and your life. Chronic pain, for example often exists along with depression and anxiety. Over the years I’ve worked with many clients who suffered with chronic pain, debilitating migraines or ongoing illness including cancers and lyme disease. In addition to psychotherapy it can be very helpful to find a specialist, like this lyme disease specialist, or a holistic medical doctor who will help you not only on the physical level but who will understand and support your emotional healing process as well..
We all have stress. But when your stress levels seem insurmountable you may find that it’s impossible to even imaging moving from self doubt to self confidence. If it’s something that you know that affects you, then you’re going to want to work on finding a balance in your life that will help you to de-stress and start to work on a path that you actually like. If it’s your career where you are feeling the build of your stress there are some strategies I provide in this article. Otherwise, regardless of where the stress is originating, the first step to managing your stress is to recognize signs of stress in your body and mind and then identify what are the stress triggers. Then, you can begin to make changes wherever possible to shift away from those triggers or mitigate the stress if the triggers are unavoidable by learning how to relax in body and mind. You can pick up a 20 minute free downloadable guided meditation for deep relaxation I created at Wonders Wellness Institute for Women. I see it in my office every day. People come to see me for counseling because they find themselves in a damaging, unhealthy relationship. These toxic relationships can stop you from reaching your potential and living the life you long for. If you think that someone in your life is holding you back, couples counseling can sometimes help but if the relationship is truly toxic you may need to consider walking away. Getting help from a professional who specializes in helping people make these tough transitions is recommended because this process can feel scary and overwhelming so going it alone is usually not a great idea. Fear is at the root of everything that stops us from feeling positively about ourselves and moving from self doubt to self confidence. If you know what you want to do with your life, but you have never taken a step towards the career, the relationships, or the home you want because you’re scared of it not working out, It’s time to realize that if you never face those fears and try even though you’re still afraid, you will never move out of the unhappy and self doubting place you now find yourself in. To get you started check out this list of 68 ways to move beyond fear. Finally, you may find that the reason you are holding yourself back, is because you don’t want to leave your comfort zone. Yes, in a lot of ways, this is connected to fear. But, you will find that most of the reasons we hang out in our comfort zone (even when the comfort zone is miserable) is because it’s what is familiar. And humans tend to gravitate toward staying with what is familiar even when it’s painful to do so. But nothing transformational ever happens in your comfort zone. If you want to change your career or the way that you live, you have to take action steps to bring about change. So just start. If you really do want to change, take one step. Just start to move forward. Make a call to schedule either counseling or coaching. Shake up your daily routine. Turn your thoughts around from negative to positive. Start keeping a gratitude journal. Before you know it you will be moving from self doubt to self confidence.